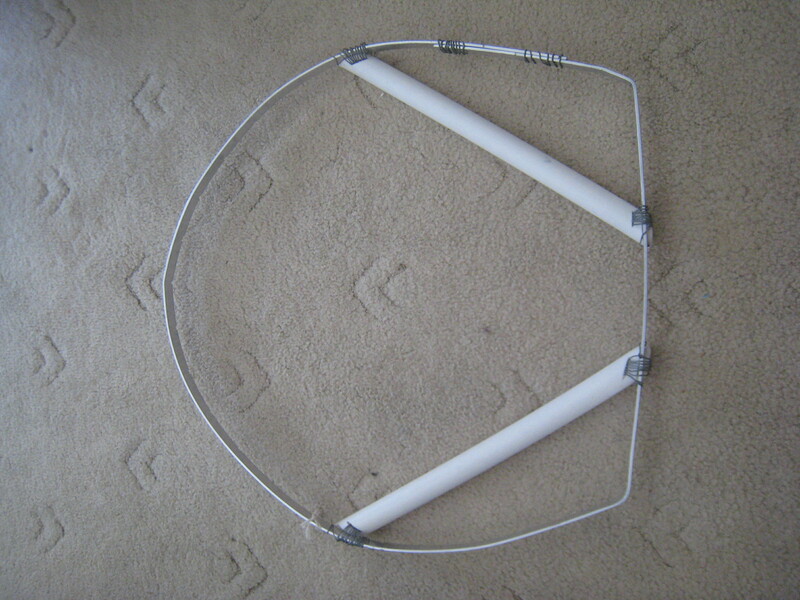 This time round, I’ve chosen to use PVC pipes for the handles. 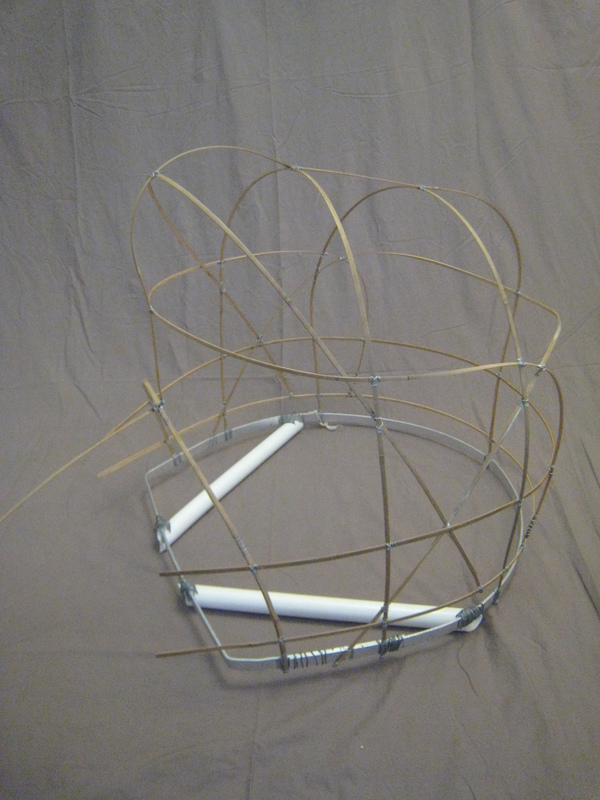 I want to make a lion head that’s of reasonable weight so it’s possible to perform. 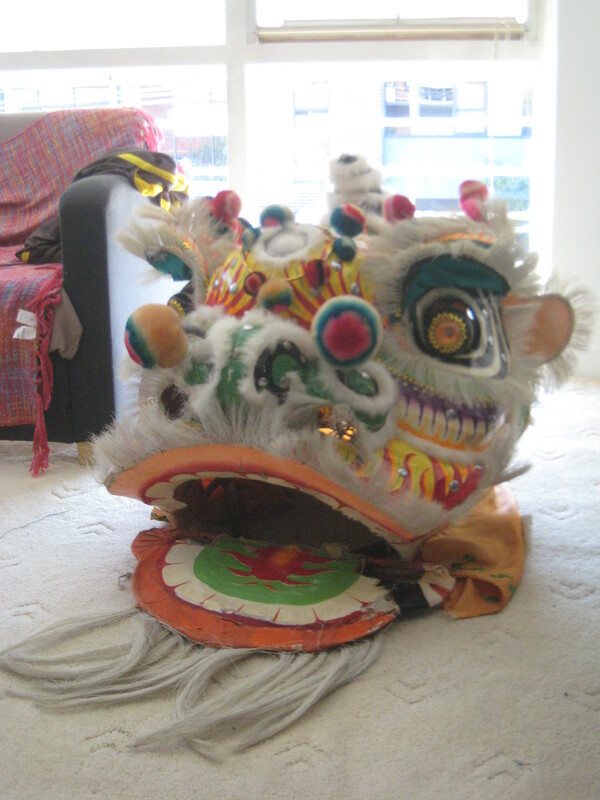 The Choi Sik Gwan Gung lion that I last made was so heavy that after 2 shops, it sapped everyone’s energy and we packed it away. It hasn’t been used since. Lions are beautiful pieces of art, but they’re made to be performed with rather than stared in its lifeless state (unless of course it’s a grandpa lion and plain awesome looking and too fragile to be used) and I think it’s a shame if a young fresh lion couldn’t be danced for others to enjoy. 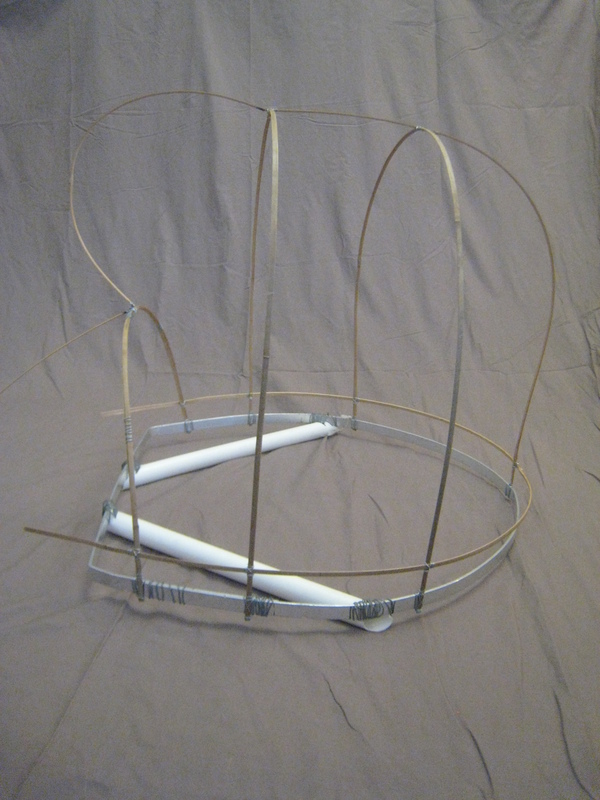 I’ve stuck with using metal wires again for binding everything together. I know some people aren’t a fan of them because there is a chance they’ll rust or get brittle and crack but for the moment, I’m going to stick with it until I get the confidence to use other mediums like sports tape or actual paper ties and glue. I’m also experimenting with which is the best order to add the bamboo strips to. So far it’s working much better than my previous project. I’m back to WAKE UP (another) LION!!! How can I Wake Up Lions when I ain’t making any!?!?! I’ve been MIA since my last lion head creation but recently, I’ve been itching to start making and fixing heads again and have decided to start on a new project. This time, it’s a bit of a double project. As you may or may not have figured, I like my old school lion heads. You know… the ones with bristle fur, lots of pom poms, long tails, and the ones that get involved in lots of fighting in the movies. You know the ones I’m talking about. So what better way to pick up where I left off than trying to replicate a 聯發样 (Luen Fat Cheung) lion head, and fix one up whilst I’m at it. 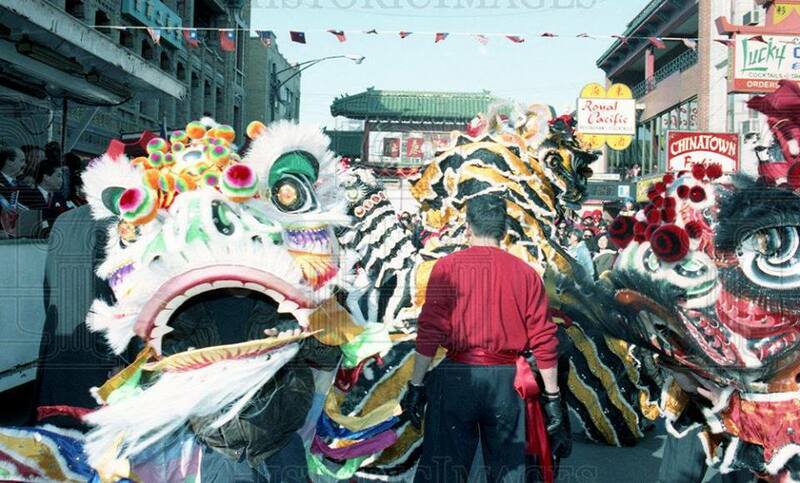 “Hey I remember that lion, we had a great time parading him on new years. Or I remember dancing that lion, it was damn heavy. 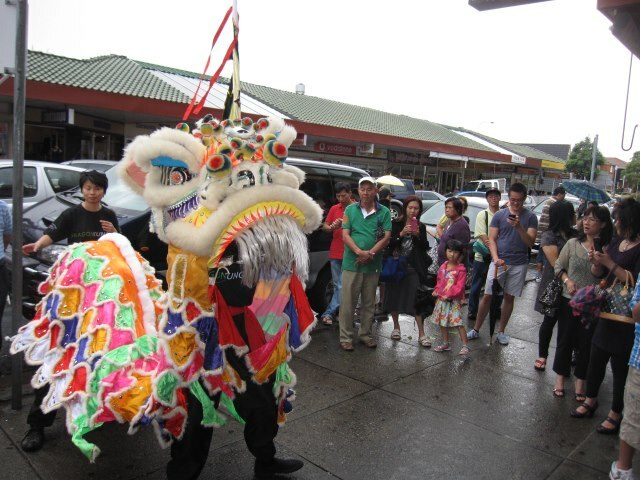 Or I remember that lion, we danced it on ____year when it rained and ……(insert joyous memory here)….. ” These lion heads were meant to last and when you saw that lion head on the street, you immediately new which team was performing on the day. Nowadays, it’d be quite common for you to see lion heads replaced almost on a yearly basis and as a result, a lack of respect on each individual lion. Anyways, back to the lion heads. 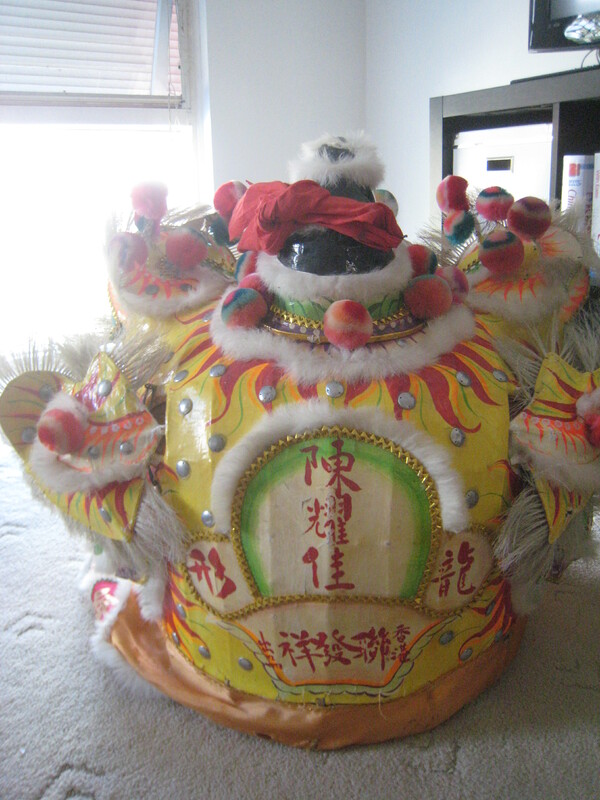 One thing I really love about 聯發样 lion heads is that they age! I don’t know how to explain it but looking at the pictures of the lion head when it was freshly bought compared to what it looks like now, it feels as if the lion head has grown old with time. (I’ll put up some pictures to show you). Maybe its the droopy eyes or the paint not being as fresh but I think it really gives the lion a touch of finesse. It may not look as fierce as it once did but it still retains that “presence” that I just don’t find with a lot of the current lions. Another thing I like about the head is the simplicity of the design. It’s beautiful in how minimal it is yet still retains a lot of that artistry and character. The paint job is quite different to modern day Malaysian and Singaporean lion heads and even Hong Kong/Chinese style lions that are trying to go back to the 1970s and 80s roots. So without further ado, here are a couple of pictures. What it looks like today. Pretty good condition hey? Disclaimer: That’s not our team! But a great picture of a LFC head nonetheless. You could have mistaken they are the same. 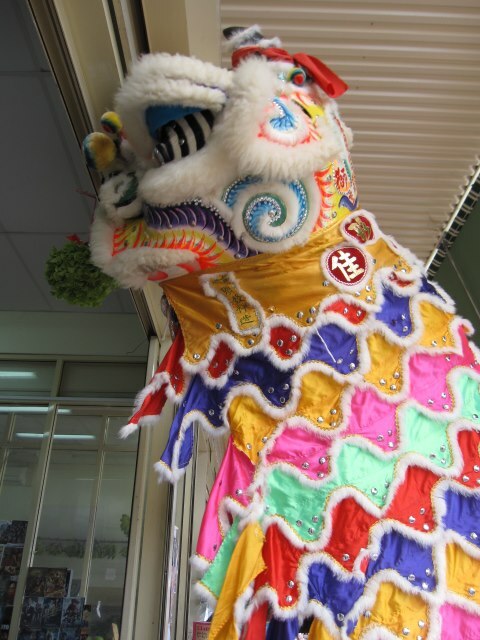 And a picture of our other 聯發样 lion. He’s still going strong. This one actually came with sheep’s fur. I guess even the artists of old had to adapt somewhat to modern times. But even then, he looks mean!! An interesting story to finish off. 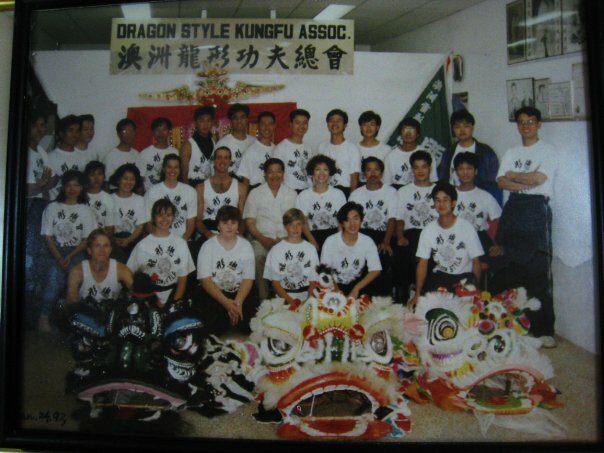 I remember when I joined the Sydney Dragon Style Kung Fu school back in 2001, the gwoon had yearly school photos stretching back to 1990 framed and hung up on the wall. I would always stare at those pictures from old to recent and I would always get to the picture when “Fluffy” (our sheep’s fur LFC head) first appeared in 1999. I always thought to myself, wow, that head is a bit different, look at it’s fur!!! Now we’re in the modern times I find the reverse to be true. When I see a lion with bristle fur, I say to myself, that head is a bit different, look at it’s fur! !